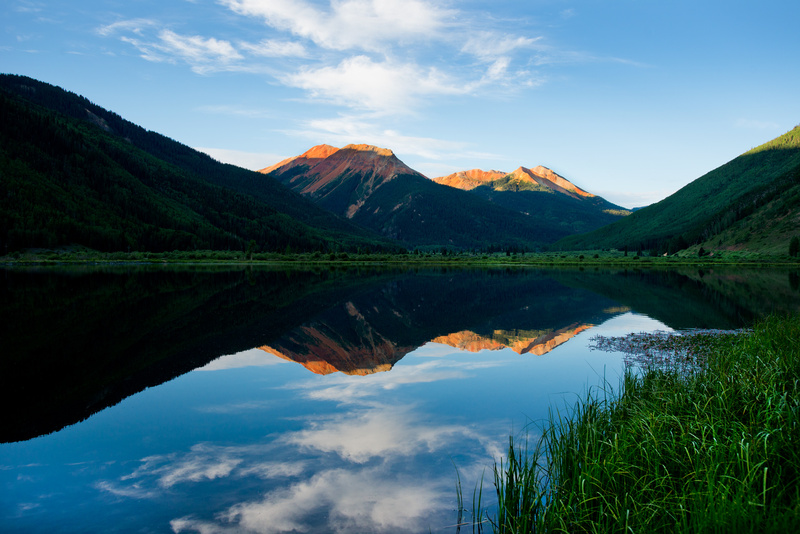 Red Mountain is a set of three peaks between Ouray and Silverton, Colorado. The reddish color comes from iron ore. This area is also know as the Red Mountain Mining District, which is known for the silver produced as well as gold, iron, copper and other minerals.